Welcome to this unique specialist jobs board and skills pool created by a group of forklift driver training providers with the intention of helping their highly motivated self funded and publicly funded trainees find jobs with local recruitment professionals. Our Database of local jobseekers already contains many hundreds of individuals with a whole range of skills and levels of experience and it is growing rapidly with each and every passing day. This is an ideal place for employment agencies to quickly find the skilled workforce for their clients because advertising with us is completely free and you the advertiser have full control over the duration and content of your adverts at all times. This site also has an excellent cv search facility that allows employers to confidentially search cvs by a wide range of criteria including: Skills required, location of job, candidate level of experience and other licences held. you can even locate the individuals that had the very highest scores in their practical forklift driving tests as well as those individuals that come endowed with the Generous DWP wage incentive scheme should you choose to employ them. Credits for cv searches may be purchased in low cost bundles though we prefer to give packages of them away in return for successful training referrals to any of our participating training providers. Please register on the site today today for more information about out how the scheme works. 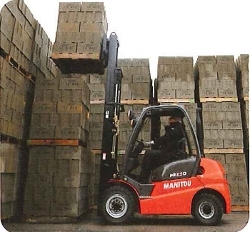 We are confident that you will be pleasantly surprised by the diversity and depth of warehouse relevant skills to be found on this site including: Managers, Picking and Packing staff, Maintenance staff and Operators of forklift trucks of all types and levels of experience. If you are a jobseeker why not make this your one stop shop for finding a local warehouse or forklift driving job fast! An easy way to keep abreast of the best paying jobs that you are qualified for whenever they occur and whatever your current employment status may be. Let us do all the leg work for you. Register today and tell us your job preferences skills and qualifications and we will make sure that you get to hear instantly by email when suitable opportunities are posted on the site.